Healthy eating should include thinking about the environmental cost of your food. We may be what we eat, but our dietary choices also affect the health of the environment, and farmers’ back pockets. Energy and water use, native habitat cut down for crops and grazing, and emissions that exacerbate climate change, are just some of the profound effects agriculture has on Earth. And, there are more and more mouths to feed. 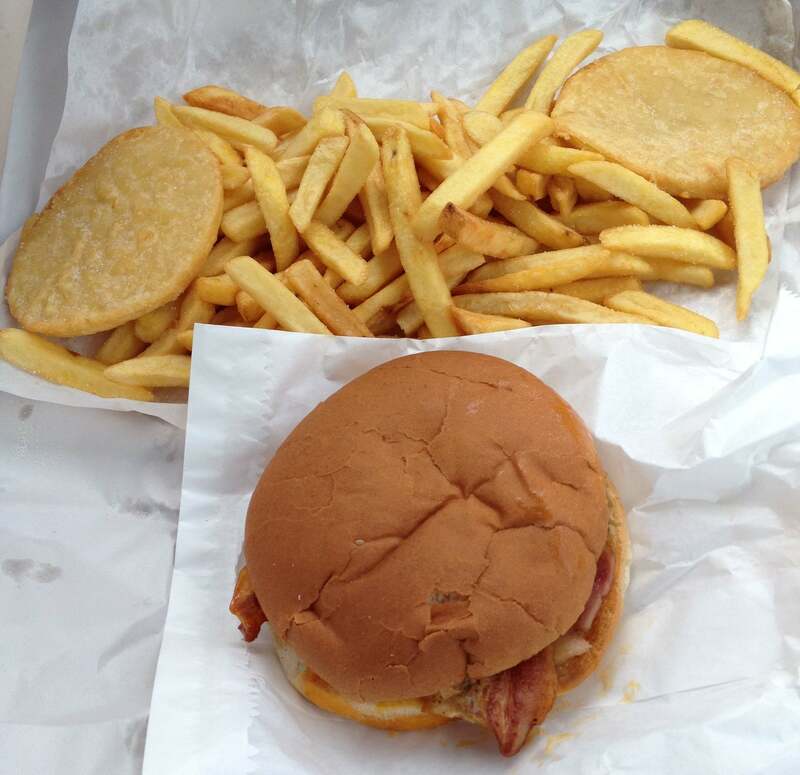 Perversely, both starvation and obesity are severe health issues across the world. With agriculture confronted by economic and environmental uncertainties, society faces enormous challenges. But challenges also offer great opportunities. Drastically rethinking what we eat, and where and how food is produced, could help our health, the planet, and our farming businesses. That means eating fewer sheep and cows, and more kangaroos, feral animals, and insects. Australia’s rangelands – the drier regions of the country predominantly used for livestock and grazing – cover about 80% of the country. They are often in poor condition and economically unviable. In part, this is due to the fact we still farm many animals, mostly in ways that are unsuited to the Australian climate and environment. Hard-hoofed animals contribute to soil compaction and erosion, and have even been linked to the spread of the invasive cane toad. But the environmental impact of intensive stock farming extends much further. Continuing to farm using a European-derived, intensive system is a recipe for land degradation and environmental collapse, especially with the compounding impacts of climate change (severe weather events, more frequent and intense droughts, and fires). 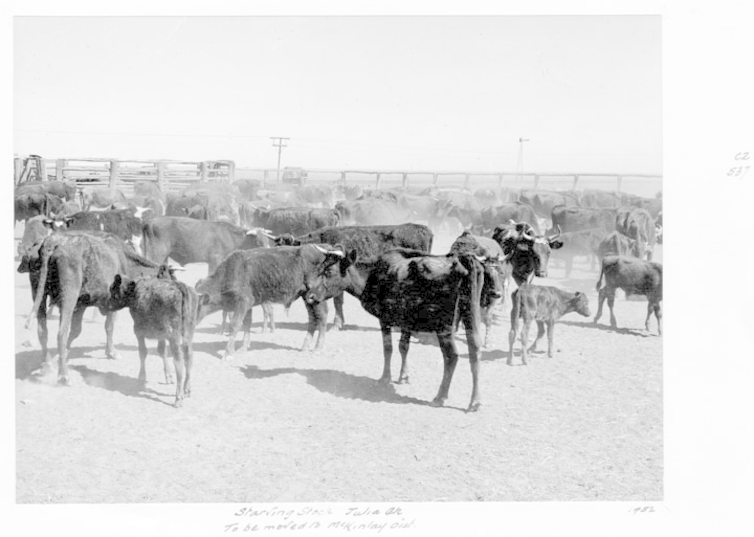 Starving stock in Julia Creek, Qld (1952). Past and current agricultural practices have also profoundly altered our environment. It may be impossible to restore these lands to their original condition, so we must learn to operate in the new environment we’ve created. More broadly, many experts have identified our meat consumption and intensive farming as a significant driver of global problems. To address these issues, we need a cultural shift away from intensive agriculture. The days of riding and relying on the sheep’s back, cattle’s hoof, or the more recent, and increasingly popular, chicken’s wing, may need to pass. Native wildlife and some feral animals tread more lightly on the environment than intensively produced livestock do, and thus provide more sustainable options for food production on Australia’s arid lands. Kangaroos and goats place one-third of the pressure on grazing lands compared with sheep. We already eat some of these animals, but could arguably eat more of them, including feral goats, camels, deer, rabbits, pigs, and buffalo, as well as native emus and kangaroos. 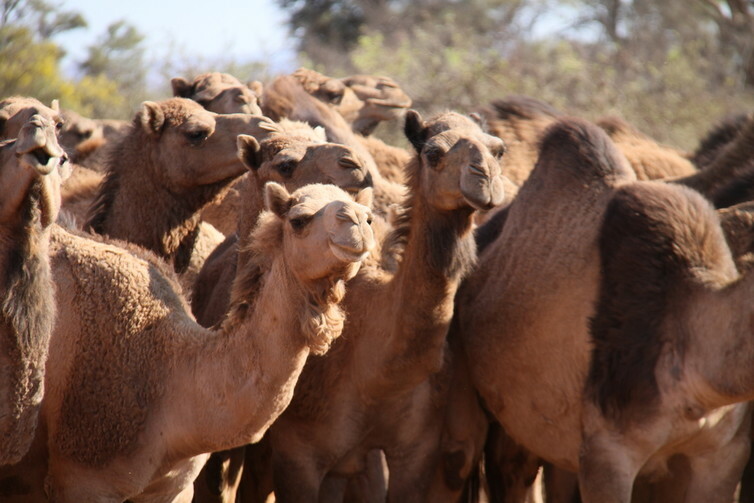 Camels are already on the menu. Yet more extreme proposals could include feral donkeys, cats, horses; and even cane toads. Horses are already consumed in Europe and cats in central Australia. Eating more feral and native animals, and relying less on chicken, sheep, domestic pigs, and cattle would help meet ethical concerns too. Wild animals such as kangaroos are killed quickly, without the extended stress associated with industrialised farming, containment, and transportation to abattoirs. And by harvesting sometimes overabundant wild native animals (such as kangaroos) and feral species, we may be able to reduce their impacts on ecosystems, which include overgrazing and damage to waterways. An even greater leap would be to eat fewer four-limbed animals and more six-legged creatures. 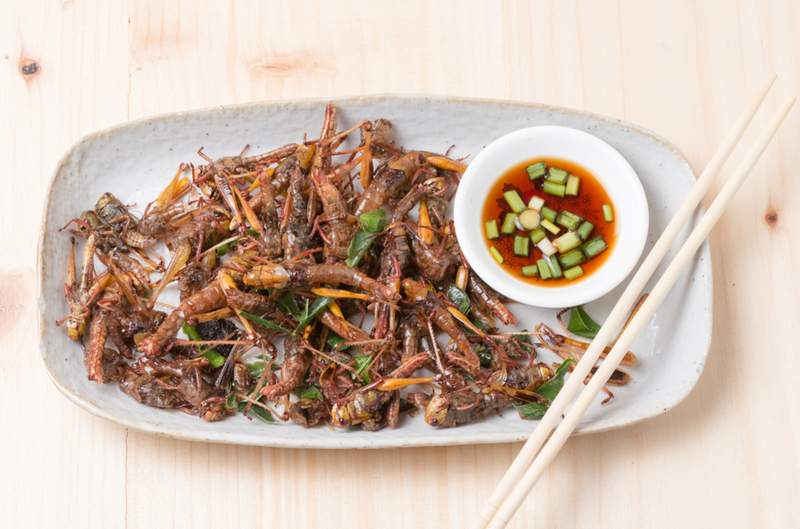 Insects are often high in protein and low in fat, and can be produced in large numbers, efficiently and quickly. They are already consumed in large numbers in some regions, including Asia. Evidence that a market for such a food revolution exists is that shops are already popping up selling mealworm flour, ant seasoning salt, and cricket protein powder, among other delicacies. A six-legged diet is even better. Thanks to Australia’s variable climate, swinging between drought and flood, many farms are also tied to a boom-and-bust cycle of debt and credit. As the climate becomes increasingly unpredictable, this economic strategy must be detrimental to the farmers, and is shown by many farm buy-backs or sell-offs. It makes sense to use species that are naturally more resilient and able to respond to boom-and-bust cycles. Kangaroos and other species can forage on our ancient and typically nutrient-poor soils without the need for nutritional supplements (such as salt licks), and are physiologically more efficient at conserving water. This could lead to a more sustainable supply of food and income for farmers, without the dizzying economic highs but also without the inevitable prolonged and despairing lows. To be clear, we are not suggesting completely replacing livestock, but diversifying and tailoring enterprises to better suit Australia’s environment. To support more diverse agricultural enterprises we will need to overcome many obstacles, such as licences to hunt, what we’re comfortable consuming, and land use regulation. But we shouldn’t shy away from these challenges. There are tremendous opportunities for rural, regional and Indigenous communities, and indeed cities too. We need a more diverse mix of meat to adapt to the pressures of a growing population and climate change. Supermarket aisles that display beef, chicken, pork and lamb, alongside kangaroo, camel, deer, goat, and insects, could be just what the environmental, health and economic doctors ordered. Wildlife populations are suffering death by a thousand cuts as a result of human activities. Wildlife are being hunted, fished, and poached. They are suffering from climate change and pollution. Diseases take their toll, as do newly invasive species. They are also being fragmented as a function of increased habitat destruction. These are obvious culprits of environmental disruption. But there is one realm where we may be having an unanticipated impact on wildlife: nature-based tourism. It is possible that our increasing penchant for nature tourism is making wildlife in these areas more vulnerable to predators. Unfortunately, we don’t yet have enough data to properly assess this risk. Our team brought attention to this concern in a review recently published in Trends in Ecology and Evolution. In the study, we attempt to understand how animals may become more docile, bolder, and less fearful when exposed to humans. We suggest this could then potentially lead to an increased risk of predation when people leave the area, signalling an unrecognised cost of ecotourism. To domesticate animals, we must tame them, and this often means deliberately selecting those individuals that are more docile and tolerant. Domestication is, in part, achieved by making animals safe from predators – for example by fencing them in, bringing them into our homes, or raising them in cages. We are now learning that urbanisation causes similar effects: animals that prosper in the cities are generally more docile and less fearful of humans than animals that live outside the cities. There is also evidence of genetic evolution of urban animal populations. In many cases, predators avoid urban areas, creating a “human shield” that protects urban prey and can trigger a cascade of ecological changes. Behind such a shield, prey become more likely to frequent the areas predators avoid. This leads prey to be less vigilant against predators and devote a greater time to foraging. We can often see these effects when the vegetation takes a noticeable hit. But urbanised areas are not the only context where human shields can arise. Nature-based tourism, too, might create a shield effect. More tourists, more animals getting eaten? According to a recent report, there are more than 8 billion visits to terrestrial protected areas annually. That’s as if each person on Earth visited a protected area once, and then some! This number is even more impressive given that the report only considered visitors to protected areas larger than 10 hectares, and didn’t include marine protected areas. Such a human presence on natural areas has obvious damaging effects, such as increased traffic and pollution, vegetation trampling, and vehicle collisions with wildlife. However, in our study we speculate that nature-based tourism might, under certain circumstances, also create a human shield that makes wildlife more vulnerable to predators. We already know that this has increased some species’ vulnerability to wildlife poachers and illegal hunters. At first glance, it seems unlikely that animals would respond less to predators simply by becoming used to the presence of humans. Prey species have sophisticated anti-predator abilities to assess their risk of attack. These inborn warning systems are the result of an evolutionary arms race, meaning that some animals respond to “ghosts” even after being isolated from predators for some time. For instance, island populations of Sitka black-tailed deer isolated from predators for 60 years showed a similar level of vigilance to deer exposed to predators. But there is some evidence that individuals that are bold around humans may also be bold around their predators. For instance, fox squirrels from a population habituated to human presence responded less to different predator noises than individuals from the non-habituated population. 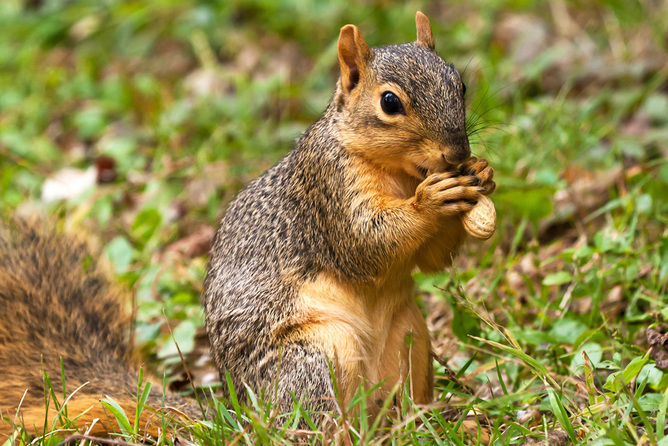 Fox squirrels that are used to having humans around are less responsive to predators. Is this true for other species, too? Animals learn responses to their environment that can form predictable behavioural patterns. Such a pattern may, for example, link docility with a reduced response to predators. In this way, docile animals may respond inappropriately in the presence of a predator. So if tourism-related human shields are sufficiently stable to make animals more tolerant towards humans, and if by being exposed to humans animals become more docile or excessively bold, these individuals may be more vulnerable when exposed to real predators. Our paper is a call for more research on this important issue. Indeed, the journal we published in routinely publishes papers that seek to stimulate new work in this area and we listed a number of examples of needed studies in our review. While UNESCO has guidelines for ecotourism, they do not address the issues we identified. We need to understand the factors and conditions under which human shields arise and their effects on wildlife behaviour. Armed with data from many species from different locations and studied under varied conditions, we will be better able to provide concrete management recommendations to wildlife managers. Create zones for governing visits in natural areas (as is done in many areas already, like the Galapagos). Enforce times where natural areas are closed off to humans (as for hunting). Avoid contact with humans in places where there are pups and juveniles (if, as we suspect, early contact with humans may enhance docility in wild animals). Reduce or eliminate feeding of wildlife by tourist operators and guides (a common practice in a number of “ecotourist” venues). So, is ecotourism a good thing or a bad thing? It depends. In many developing countries, people must choose between consuming natural resources or creating another viable economy. Often, nature-based tourism and ecotourism creates unique economic opportunities. Here any increased predation costs of ecotourism will pale in comparison to the benefits this industry can bring. However, when dealing with small and vulnerable populations, or when dealing with nature-based tourism in more developed countries, perhaps any excess predation is less acceptable. We believe that ecotourists, who travel to help communities and biodiversity, will be those most open to self-regulation, if required, to better preserve local wildlife. We hope that the research our review stimulates will help provide the information and tools to improve the benefits of ecotourism, while eliminating or reducing the negative impacts. Time will tell and we’re excited to learn more. The ‘Pac Man Frog’ is a name given to the Amazon Horned Frog, which is described in the article linked to below. This frog will eat almost anything smaller than itself and then some (or at least try and eat some things bigger than itself).